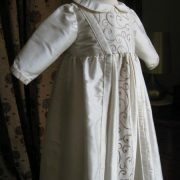 The Owen Christening Gown was commissioned in Winter 2011. 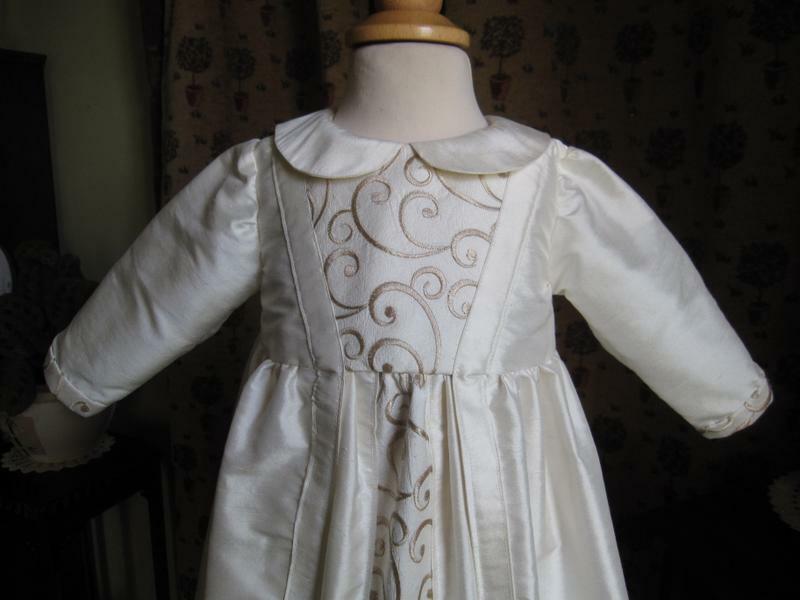 The original christening gown, shown, was created from the mother's wedding gown, however we have many examples of silk damask in stock to be able to make more beautiful examples of this style. 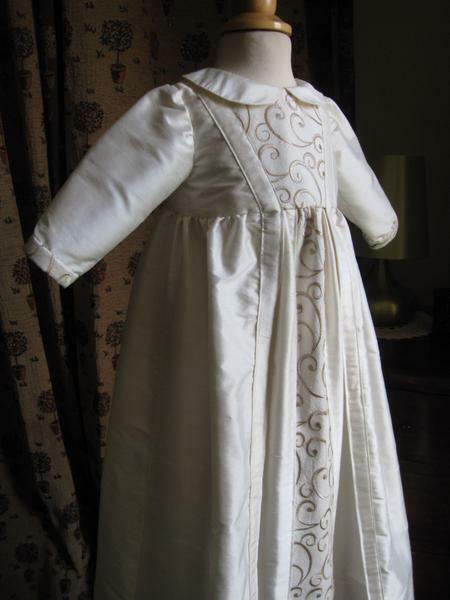 This christening gown oozes class and although it is styled in the Victorian manner it also has a medieval influence to it. 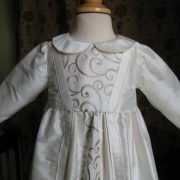 Constructed from silk dupion the bodice has a high neck with collar. 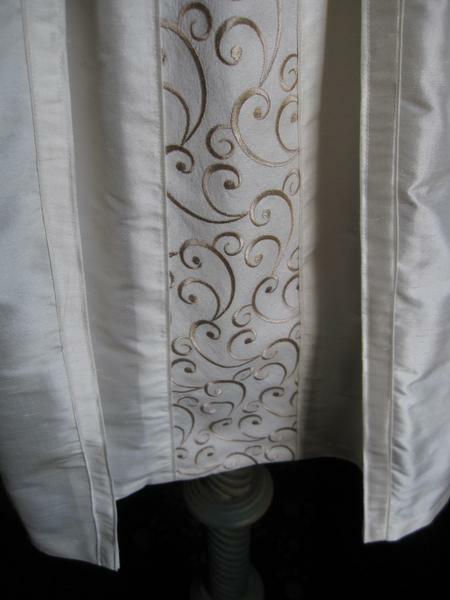 Long sleeves with cuff detail compliment the design. 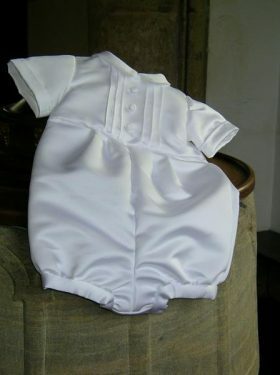 However, if you prefer shorter sleeves and a rounded collar or in fact no collar at all, that is not a problem. 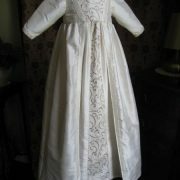 The beauty of the gown lies in the damask addition inserted along the front bodice and front skirt panel. 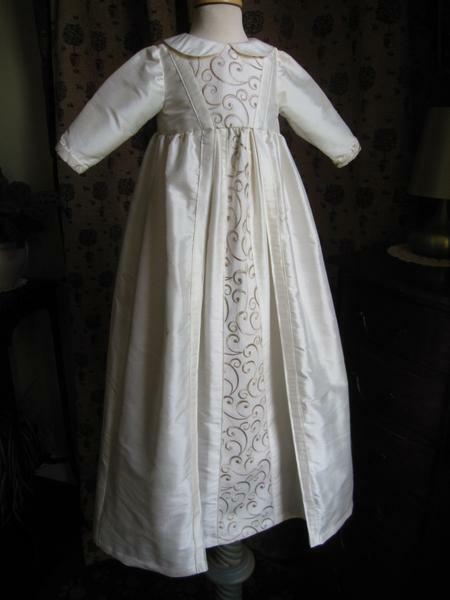 Robings either side add a touch of grandeur to the gown. 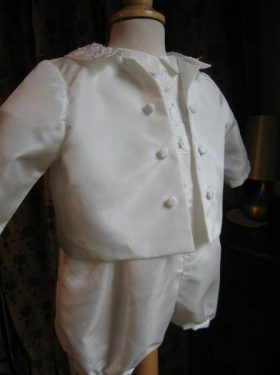 All in all a lovely Winter/Spring christening gown fit for either a boy or girl. 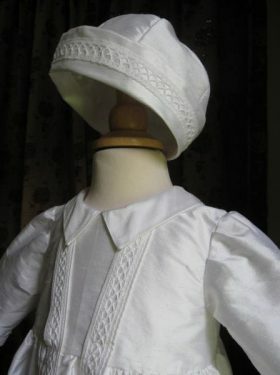 Little Doves can also supply matching caps, bonnets, booties and bibs to accompany the Owen Christening Gown. 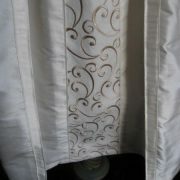 Please contact us for samples of silk damask.